The campaign received a major boost last year when Highways England, the government-owned company with responsibility for the operation, maintenance and improvement of the motorways and trunk roads, designated the highway as a ‘current, planned and potential expressway’. Expressways are motorway-grade two-lane highways and their designation requires that all junctions off and onto them are enhanced. 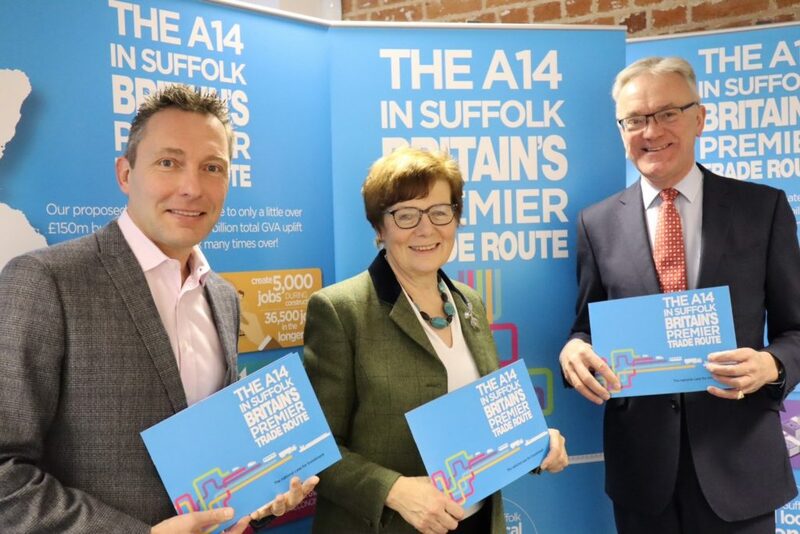 The DfT is due to make a final decision as to which projects will be funded under RIS2 later this year and the House of Commons reception, hosted by South Suffolk MP James Cartlidge and Mark Pendlington, chair of the A14 Strategy Board will allow the campaign to make its case in front of key decision-makers and influencers.